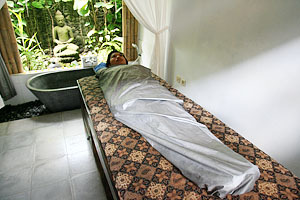 Begins with full body massage, Body exfoliation to eliminate dead skin cells from neck to toe, ideal for countering skin imperfection, ageing lines and brown spots. This transforming experience will smoothen, soften, and exfoliate the skin, complete with Body Moisturizer, herbal flower bath. 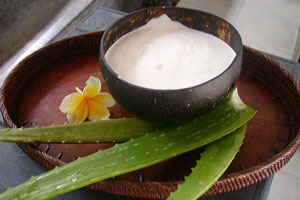 Deep cleansing, face scrub, relaxing face massage, using ingredients from the sea excellent to hydrate dry, mature skin. 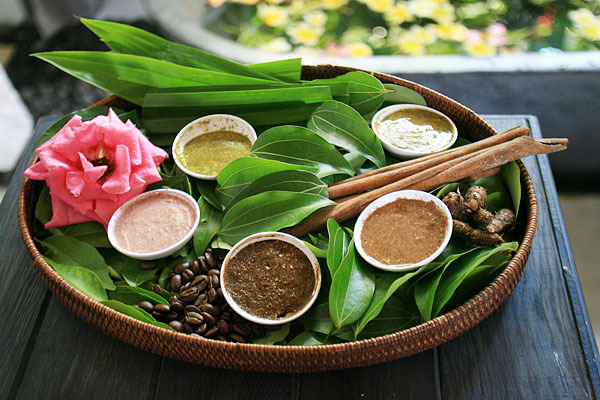 Using Indonesian beauty recipes, essences of rose, kenanga, lemon, deep face scrub, herbal face mask firming and nourish the skin. Knowing has cooling properties and to refresh the skin face after sun exposure, excellent to prevent the skin damage due to burns. 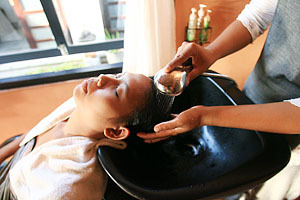 A hair and scalp conditioning treatment, known as Indonesian head massage, Using organic tropical plant is good for hair loss, dandruff and prematurely gray or damaged hair. 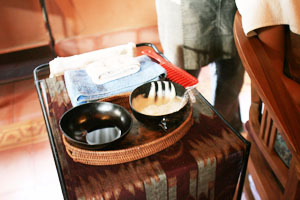 The treatment is applied to your scalp and completed with a back, shoulders massage and hand massage. An enjoyable way to relax Pamper hands and feet with our specially developed technique which uses healing aromatherapy oils, skin scrub, carefully detailed cuticle cleaning and reflexology massage, & choice of your nail color. 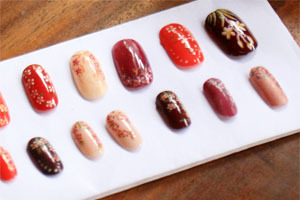 Pamper hands and feet with our specially developed technique which uses healing aromatherapy oils, skin scrub, carefully detailed cuticle cleaning and reflexology massage, & choice of your nail color. As for scrub, one please choose the favorite thing from a rose, bread Dan. her Baru, cinnamon. coffee.